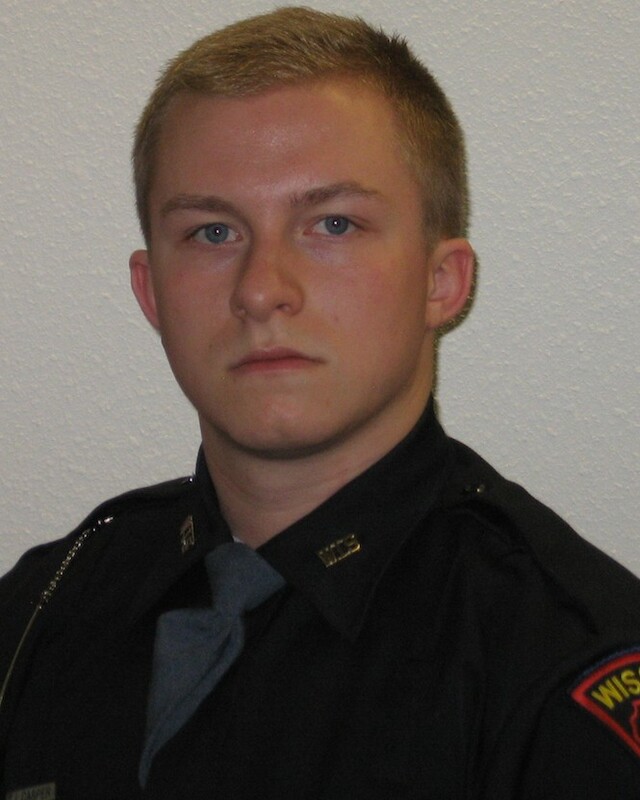 Trooper Trevor Casper was shot and killed in Fond du Lac while attempting to apprehend a bank robbery and murder suspect at approximately 5:30 pm. The subject was believed to have robbed a bank in Wausaukee approximately four hours earlier. Approximately one hour after the bank robbery the suspect abandoned the vehicle he was driving, murdered a citizen, and stole a second vehicle in Marinette County. Trooper Casper located the second vehicle as it was being driven through Fond du Lac and began following it. He was directing other officers to their location when the man pulled into a grocery store parking lot and stopped. The man exchanged shots with the responding officers and Trooper Casper was fatally shot. The subject was also shot and killed by return fire by Trooper Casper. Trooper Casper had graduated from the police academy only three months prior to the incident and was on his first shift after being cut loose from field training. He is survived by his parents and two sisters. Train, train hard, think it , be it. Ever day as an officer is hard, you want to trust and believe. Serving 18 years and I still haven't learned all there is to know about deception, it's challenging. God has graced military personnel, the blue, and red with the dedication to the badge. Wear it proud, strong and with valor. Knowing this day may always be your last. No day in a classroom can prepare for this. Strength grows in numbers. God bless Trooper and all our fallen brothers and sisters.